15-Way D Sub Connector Male Plug with Black Hood Cover. 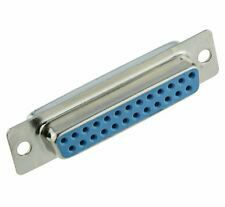 · Solderable DB9, 9 Pin Female Plug Connector. · Cable Clamp & Screws. 9-Pin Female D-Sub Connector. Cable Clamp with self-tapping screws. Long Thumb jackscrews, moulded top for colour coding UNC 4-40. Two pieces backshells, long handle. Solder Cup/Stamped. Decent quality D-Sub Connector. Round Cable Type. Assembly Hardware. 25-Way D Sub Connector Male Plug with Black Hood Cover. 5 x 25-Way D Sub Connector Female Socket Solder Lug. 9-Way D Sub Connector Female Socket with Black Hood Cover. Two pieces backshells. Solder Cup/Stamped. Decent quality D-Sub Connector. Round Cable Type. Assembly Hardware. 2 x 9-Pin D-Sub Hood Cover Shell. 9-Pin D-Sub Hood Cover Shell. 9-Way D Sub Connector Male Plug with Black Hood Cover. 5 x 25-Way Right Angle PCB Female D Socket Connector. In this “Buy it now” you will get 10 x D Connector Plugs 15 Way Solder Bucket with Tin & Dimple shell. Connectors are tin plated to allow full grounding for EM/RFI shielding. The 15-way is housed in a conventional 15-way shell. 15-Way Right Angle PCB Female D Socket Connector. 15-Way D Sub Connector Female Socket Connector Solder Lug. 2 x 25-Way Metallised D Connector Hood Cover. 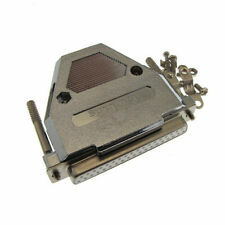 25-Way D Connector Socket Solder Lug Metallised Hood Cover. 25-Way D Connector Plug Solder Lug Metallised Hood Cover. 25-Way D Connector Socket Solder Lug Screwlock Hood Cover. 10 x 9-Way Metallised D Connector Hood Cover. 25-Pin D-Sub Hood Cover Shell. 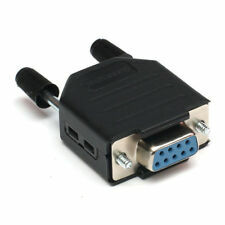 2 x 25-Way IDC Male D Plug Connector. 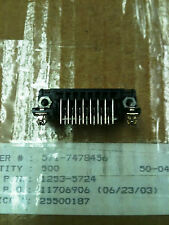 10 x 25-Way IDC Male D Plug Connector. 10 x 15-Way Metallised D Connector Hood Cover. BRAND : TYCO M24308/2-3F D SUB CONNECTOR STANDARD 25 POSITION WITH FULLY GOLD PLATED CONTACT PINS RECEPTACLE STYLE EXTRACTION TOOL INCLUDED AS SHOWN Amphenol AMP part # 205559-2 High quality part ☆☆☆☆☆ You will receive SEALLED BAGS - We opened one to capture photographs ☆☆☆☆☆ We have a few dozen on hand and activated the best offer option if you would like to purchase more than one. Thank you. . Used in test station equipment in the Aerospace and military industry by technicians and engineers. 9-Way D Connector Plug Solder Lug Metallised Hood Cover. 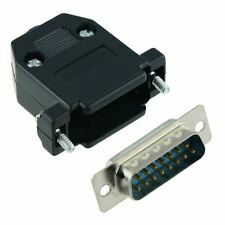 15-Way D Connector Socket Solder Lug Metallised Hood Cover. 10 x 9-Way Right Angle PCB Female D Socket Connector. 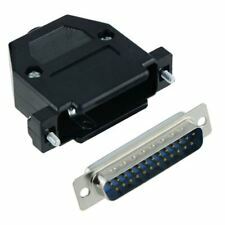 2 x 25-Way IDC Female D Socket Connector. 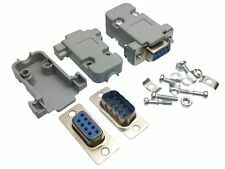 2 x 15-Way Metallised D Connector Hood Cover. 9-Way Right Angle PCB Male D Plug Connector.